Access Air has been operating on the Northern Beaches and throughout the upper and lower north shore of Sydney since 1997 (formerly Access Air Conditioning). Our great reputation for recommending the right system for homes and offices and professionally installing and maintaining all the equipment is known Sydney wide. We can also repair and service your existing air conditioning units. This website provides a little of our background and service and may answer some of your questions. However the best part of our service is our competitive pricing, expert advice and on-going technical support. Cool in summer, warm in winter that’s what Access can give you access to – quickly. Contact us today for an on-site meeting and free quote. Our commitment to our customers from your first contact to the final installation of your air conditioning system you will be dealing with professionals who will make the process stress-free. We will provide you with a site visit and quotation date and time, then contact you the day before to confirm. Our qualified tradesman will contact you if for any reason there is a delay (though we are always try to be on time, every time). All quotes are discussed with the client in full and submitted at the time of the on-site inspection and measure. Upon acceptance of our quotation, Access Air Conditioning will confirm a mutually acceptable time for installation. Again, the client will be contacted the day before as a reminder service. Naturally our staff and tradesmen will be courteous, friendly and efficient in all dealings with our clients. We will ensure all your questions are answered professionally and if technical support is required that the client can access this promptly .Upon completion of the installation, we will test the unit/system so it is in excellent working order and correctly programmed. We will provide the client with a thorough understanding of the operating instructions before we leave the premises. Remember you can always contact Access Air conditioning later with any questions you may have.As part of our service to our clients we also offer a full maintenance program, and we will send out annual reminders and contact you to make a suitable inspection time and date.Access Air is the preferred Mitsubishi, Panasonic and have been Harvey Norman recommended installers for over ten years. We install and service many other systems. Of course, we are fully licensed and insured. Access Air has been operating on the Northern Beaches and throughout the upper and lower north shore of Sydney since 1997 (formerly Access Air Conditioning). Our great reputation for recommending the right system for homes and offices and professionally installing and maintaining all the equipment is known Sydney wide. We can also repair and service your existing air conditioning units. This website provides a little of our background and service and may answer some of your questions. However the best part of our service is our competitive pricing, expert advice and on-going technical support. Cool in summer, warm in winter that’s what Access can give you access to – quickly. Contact us today for an on-site meeting and free quote. Our commitment to our customersFrom your first contact to the final installation of your air conditioning system you will be dealing with professionals who will make the process stress-free.We will provide you with a site visit and quotation date and time, then contact you the day before to confirm. 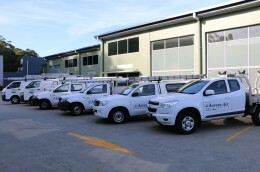 Our qualified tradesman will contact you if for any reason there is a delay (though we are always try to be on time, every time).All quotes are discussed with the client in full and submitted at the time of the on-site inspection and measure.Upon acceptance of our quotation, Access Air Conditioning will confirm a mutually acceptable time for installation. Again, the client will be contacted the day before as a reminder service.Naturally our staff and tradesmen will be courteous, friendly and efficient in all dealings with our clients. We will ensure all your questions are answered professionally and if technical support is required that the client can access this promptly.Upon completion of the installation, we will test the unit/system so it is in excellent working order and correctly programmed. We will provide the client with a thorough understanding of the operating instructions before we leave the premises. Remember you can always contact Access Air conditioning later with any questions you may have.As part of our service to our clients we also offer a full maintenance program, and we will send out annual reminders and contact you to make a suitable inspection time and date.Access Air is the preferred Mitsubishi, Panasonic and have been Harvey Norman recommended installers for over ten years. We install and service many other systems.Of couse, we are fully licensed and insured. From your first contact to the final installation of your air conditioning system you will be dealing with professionals who will make the process stress-free.